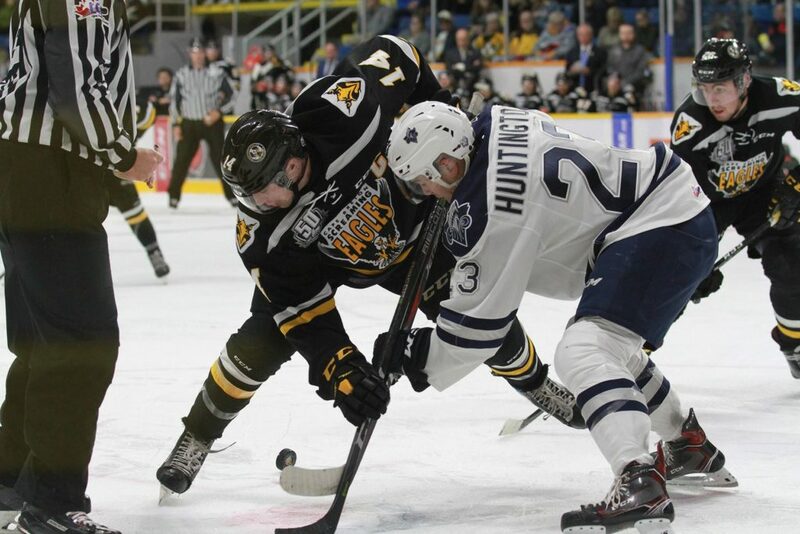 All eyes in the QMJHL are on the Screaming Eagles and Rimouski Océanic tomorrow afternoon for game two of their second round best of seven series. The other three playoff series played last night, making the Eagles & Océanic the lone game on the slate in the QMJHL. The Eagles trail the series 1-0 and will look to buck the trend, as thus far the home team has won all seven games in round two of the league’s playoffs. 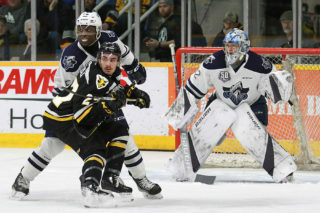 While it’s the Eagles third trip to the second round in four years, Friday night was the first visit to round two for Rimouski since 2015- a year that saw them win the President’s Cup. Game one on Friday night went down to the wire: the Océanic prevailed 3-1, thanks to a winning goal with under three minutes to play followed by an empty netter. 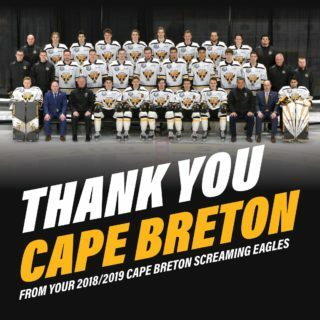 Friday’s game was a true tale of three periods: Cape Breton came out hot, carried the first period and took an early lead. 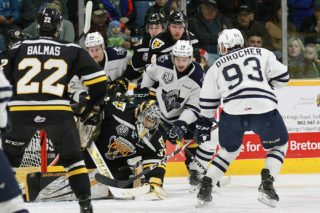 The middle frame was evenly played with the shots being 9-8 for Rimouski, and in the third period it was the home side taking control, tying the game early and winning it in the dying minutes. The top line was the story for Rimouski- Alexis Lafrenière, Olivier Garneau, Jimmy Huntington were the three goal scorers on the night. There was not much in the way of easy goals- Colten Ellis stopped 30 of 31 shots while Kevin Mandolese stopped 31 of 33 before the empty net goal. The Eagles lone goal came from Shawn Boudrias, who now has two goals in his last three games. Friday night’s game was a physical encounter- the two teams combined for 55 hits. (By contrast, only one game in the Eagles’ series against Charlottetown had more than 40 hits.) Despite all the physical play, there were only five power plays throughout the game, with neither team able to score. Both teams had success in the opening round- Rimouski went 29.6% in four games against Chicoutimi while Cape Breton was 24%. 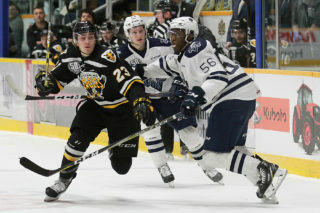 Tonight’s game two begins at 4 PM Atlantic time, and you can catch all the action on 1270 AM CJCB (cjcbradio.com) with Patrick McNeil, beginning with the pre-game show at 3:30. Go Eagles Go!